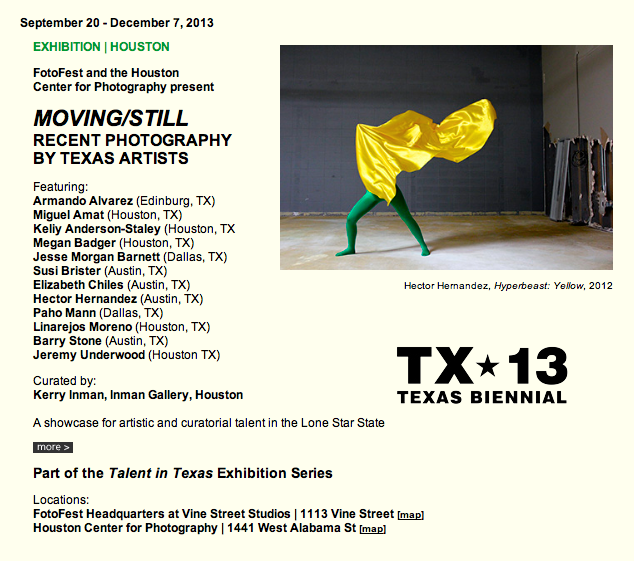 FotoFest and Houston Center for Photography (HCP), two of the state’s premier photographic arts organizations, continue their ongoing collaboration with the exhibition MOVING/STILL: RECENT PHOTOGRAPHY BY TEXAS ARTISTS, the fifth installment of the FotoFest seriesTalent in Texas and the third co-presented by FotoFest and HCP. 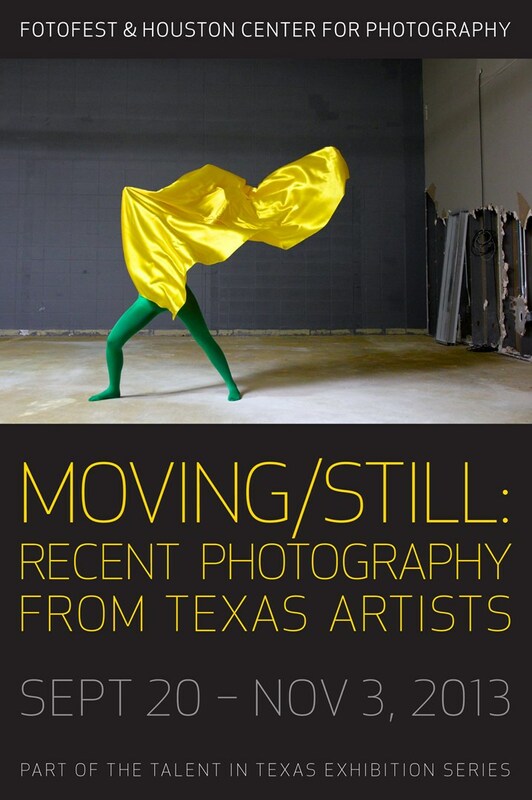 Featuring a diverse group of 12 artists from across the state, MOVING/STILLis curated by Kerry Inman, of Inman Gallery, Houston TX. 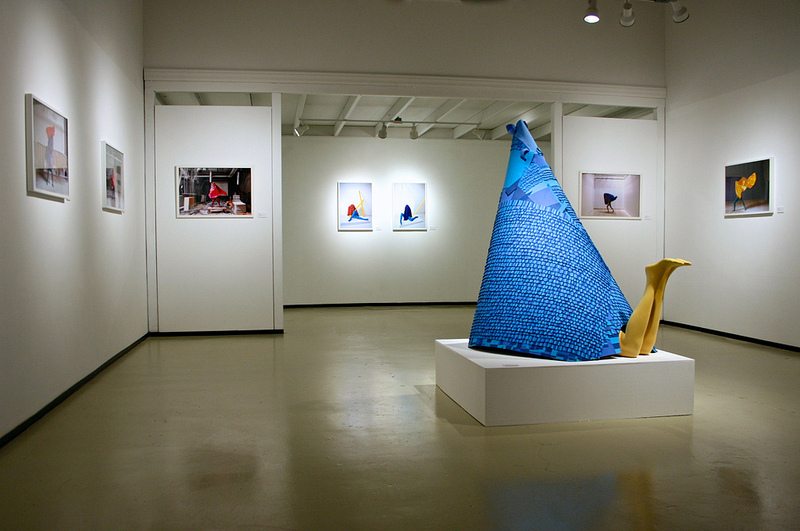 The exhibition is split between the two exhibition spaces – FotoFest Headquarters Downtown and Houston Center for Photography in the Museum District. 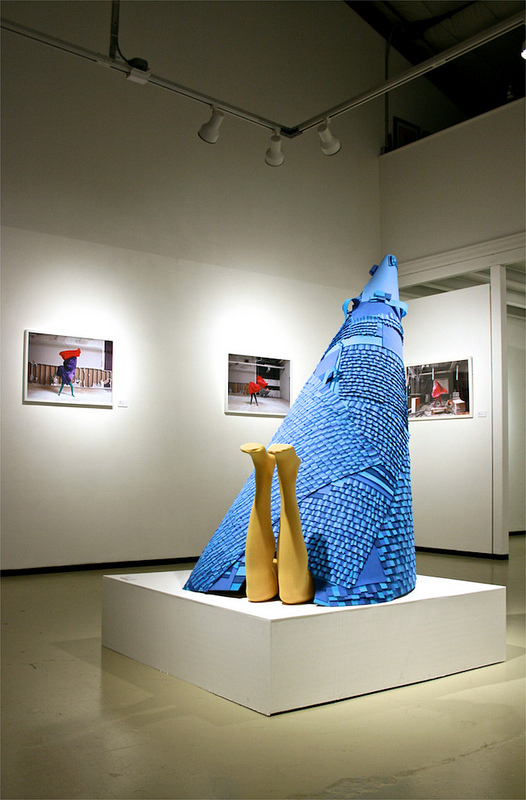 The exhibition is on view at the two venues September 20 – November 3, 2013. Beginning November 8, the exhibition will be unified at FotoFest Headquarters and continues through December 7, 2013. 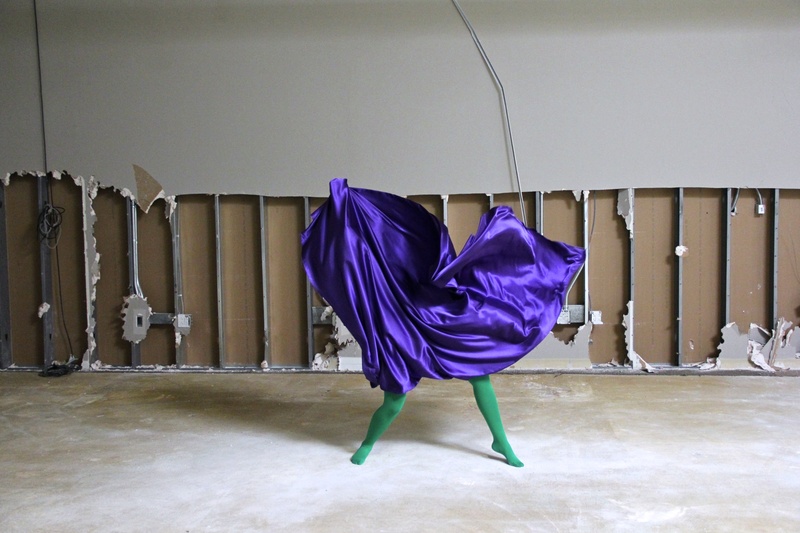 The exhibition’s title, MOVING/STILL, is in reference to the performative aspect of much of the work, whether it is documenting a physical action taking place, or presenting a vision of the human connection to an alive and conscious natural world. Many of the pieces incorporate long or multiple exposures capturing a sense of time passing. In others, surreal hybrid forms inhabit construction sites, ragged shorelines, and abandoned factories. Several projects refer to ritual and ceremony and the transformative power of these acts. 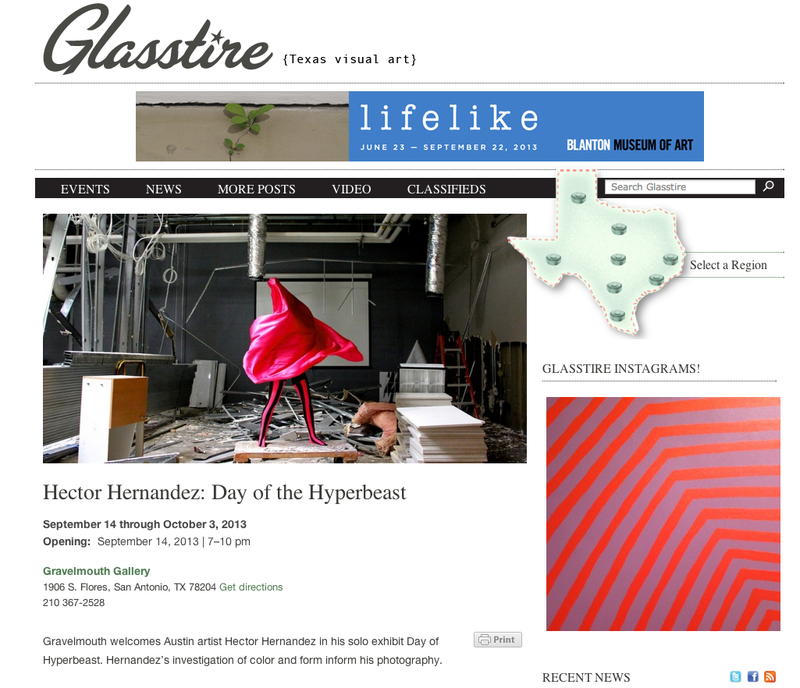 The creatures in Hector Hernandez’ (Austin, TX) photographs are ephemeral, if anthropomorphic. Their airy and fluid bodies, made of silk and satin, rise in dynamic and dramatic fashion above seemingly human legs. The Hyperbeast Lives series is playful and intriguing. Kerry Inman is owner and co-director of Inman Gallery, Houston. 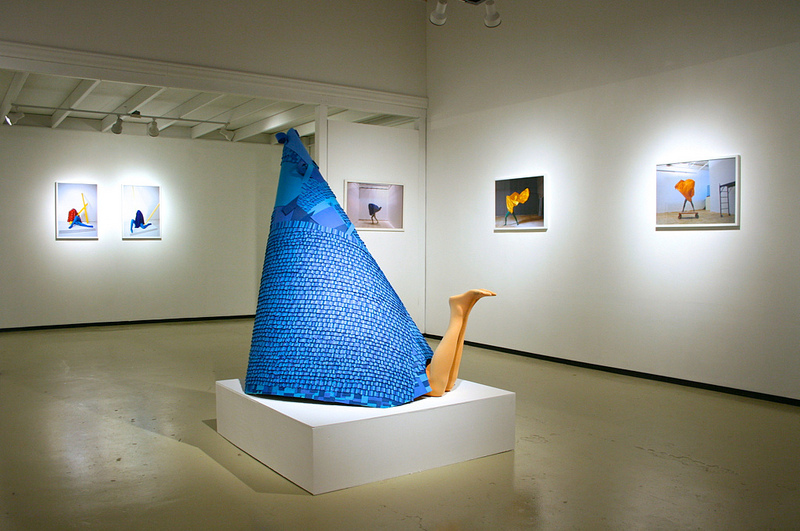 Inman Gallery was founded in 1990 as a project space dedicated to showcasing the work of younger artists who were under-recognized by the contemporary gallery scene in Houston of the late 80’s. 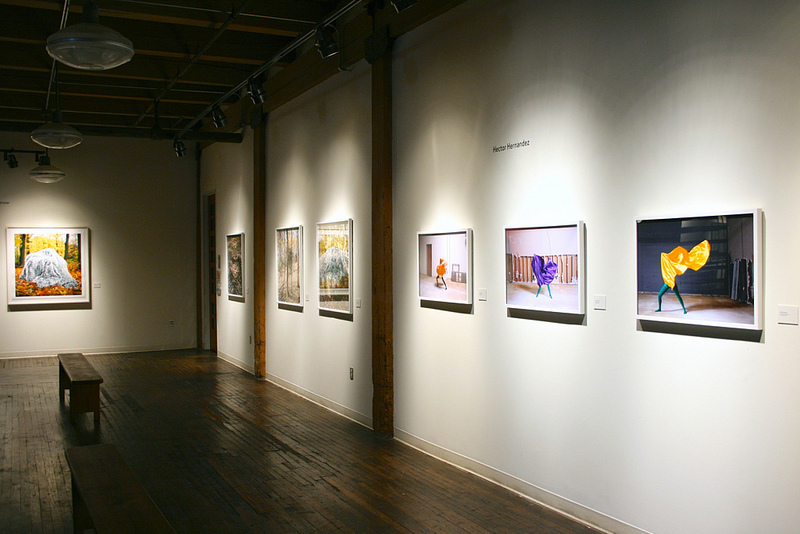 Since that time, Inman Gallery has steadily grown into a nationally recognized venue that encourages innovative, thoughtful visual presentations and nurtures talent. 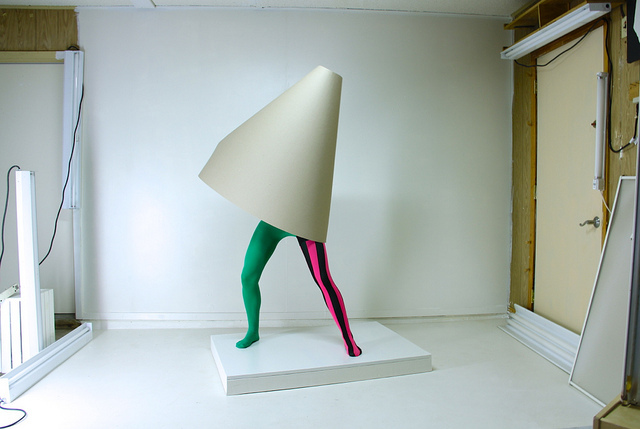 Emphasizing visual exploration and conceptual thinking over purely formal solutions have been cornerstones of the gallery programming since its inception. With director Patrick Reynolds, she has organized a number of thematic group exhibitions at the gallery, including Paper Space (2012, drawings by sculptors), Related Clues (2011, contemporary sculptural practice), do i know you (2010, contemporary portraiture), among many others. She has served on the advisory boards of the Glassell School of Art, and the Art League of Houston. Additionally, she has served as juror for numerous regional exhibitions, as well as several national panels, including Creative Capital and Altoids Collection. 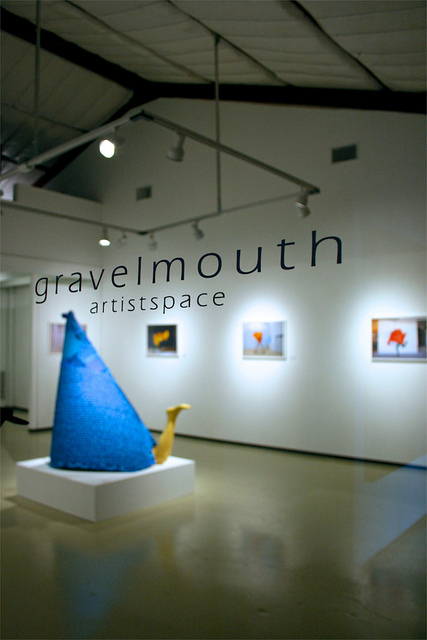 Gravelmouth invites you to join us Second Saturday in the South Flores Arts District as we welcome Austin artist Hector Hernandez in his solo exhibit “The Day of Hyperbeast” Hectors unique investigation of color and form immediately drew us into his photography and kept us wanting more. Here is a little insight to Hectors work. 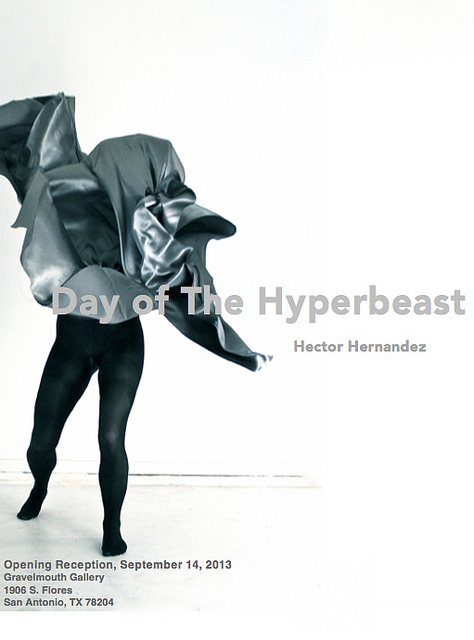 The Day of Hyperbeast is about form, energy, light and movement. When I first began the series, I was interested in creating new characters, but I also wanted to add an element that I felt had been missing from my previous work. Color. The explosion of color is the “hyper” in hyperbeast. Bold, untamed and vibrant. 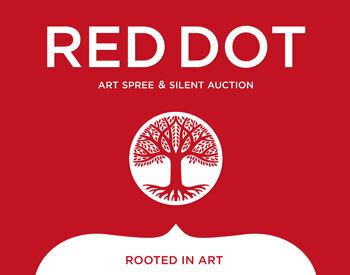 This is your chance to collect some of the best contemporary art being created today at the 18th annual Red Dot Art Spree & Silent Auction. Fabulous art, beautiful people and incredible silent auction packages brought to you by Women & Their Work. More than 200 paintings, sculptures, drawings, photographs, prints and mixed media works all for $600 or less & all shopping is tax free. This party takes place in the gallery, at 1710 Lavaca Street, Austin, Texas 78701.